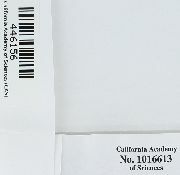 Locality: USA, California, Tulare, SOUTHERN SIERRA NEVADA, SEQUOIA NATIONAL FOREST. Kern Plateau. 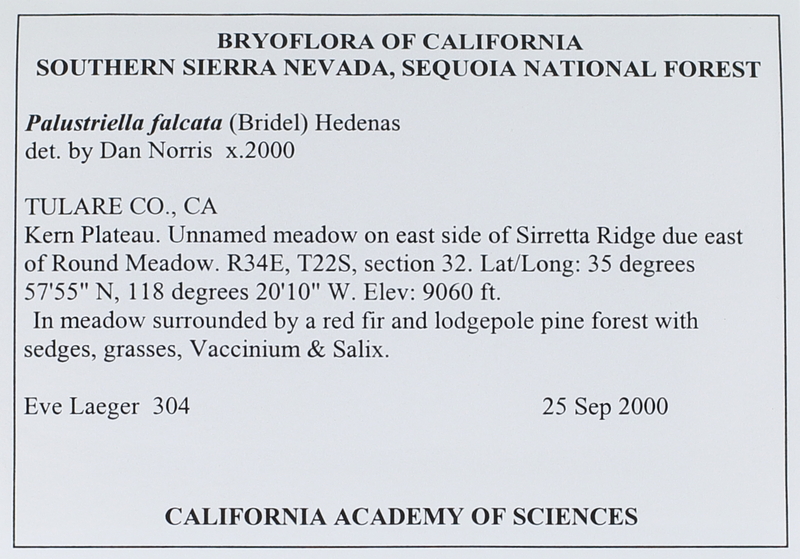 Unnamed meadow on east side of Sirretta Ridge due east of Round Meadow. Verbatim Coordinates: 35°57'55"N, 118°20'10"W; R34E, T22S, section 32. Habitat: In meadow surrounded by a red fir and lodgepole pine forest, with sedges, grasses, Vaccinium and Salix.